Superdry men’s V8 Moto hoodie. 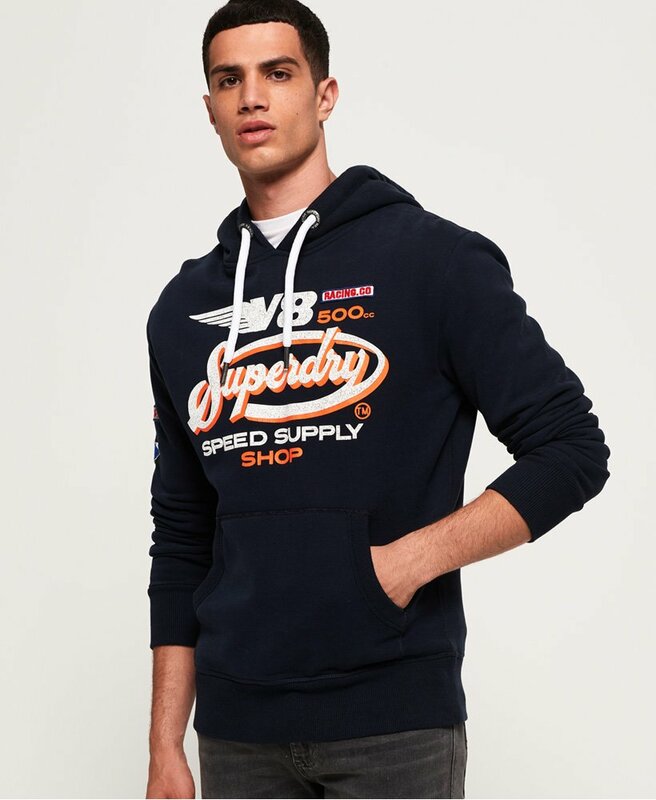 This overhead hoodie features a draw cord adjustable hood, a Superdry Speed logo across the chest in a cracked print with a Racing.Co patch and two Superdry patches on the sleeve. The V8 Moto hoodie has been finished with ribbed cuffs and hem for a comfortable and flattering fit, a large front pocket for practicality and an orange tab in the seam.